You've got to hand it to the industry for its drive to tackle bike theft. The MCIA reported recently that the simple tagging of new motorcycles by 11 of the main manufacturers had brought about a marked reduction in the number of stolen machines. "Tagged bikes four times less likely to be stolen", the headline read in the May issue of BDN. The story was based on the fact that since the January 2013 launch of the UK's first national and official anti-theft initiative - the Master Security Scheme - only 403 of the 52,687 tagged motorcycles and scooters had been stolen. "We are highly encouraged by the results we have seen so far," said Steve Kenward, CEO of scheme member the MCIA. Unfortunately, the National Motorcycle Dealers Association is now reporting that thieves are simply turning their attentions to older, unprotected machines. 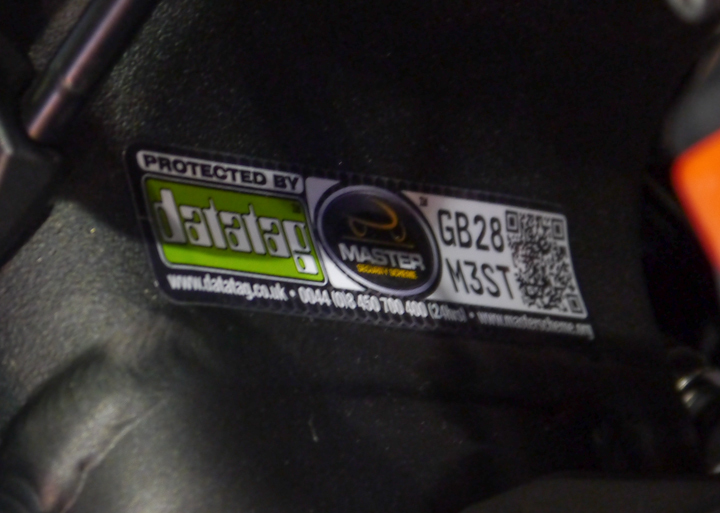 To address this, Master Security Scheme partner Datatag is using the success of the industry initiative to encourage dealers to sell and retro fit the technology to older, unprotected bikes. It points out that dealers can use the kits to "up-sell" at point of second-hand bike sale (and make a healthy 50 per cent margin). It also suggests that the kits can be used as an add-on service item, for which the dealer can charge a small fee for fitting. 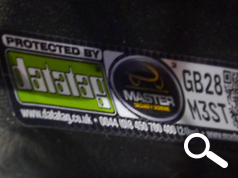 While we tend to avoid endorsing commercial campaigns, we're happy to make an exception in this case to help Datatag in its laudable but patently unrealistic aim to "put an end to bike theft once and for all".